Price Improved! 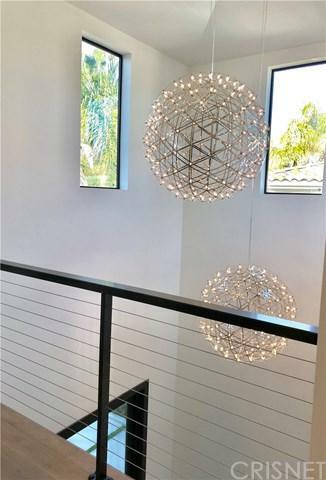 This Newly Built unmatched Contemporary Smart Home boasts an unmatched sophistication. 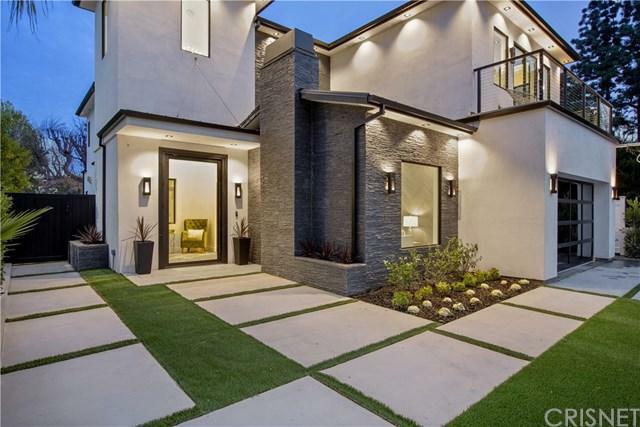 This stunning luxurious home is nestled in the highly sought after Encino and coveted K-8 Hesby Oaks School District. Nothing but top of the line brands such as Miele, Durvait, Kholer, Grohe, Ave lighting, with impeccable architectural detailing. You will enjoy 5bd/5.5ba, 1 first floor En-suite, marble, quartz countertops, 4 fireplaces, barn doors, 10+GG glass pivot front door, 23+GG height ceiling in foyer adorned with designer chandeliers, formal living / dining rooms that has 10+GG glass pocket sliding doors that leads to a covered patio creating the best indoor/outdoor experience, wine room, a spacious family room with 10+GG glass pocket sliding doors opening to the large backyard complemented with a sparkling salt water pool/spa for entertaining & family fun. Gourmet chef+GGs kitchen, Miele stainless steel appliances, two dishwashers, built in double convection & steam ovens, 6 burner range with griddle, built in coffee/latte maker, microwave, 2 oversized islands, one with a 36+GG kohler, apron sink, a prep/vegetable sink. Master suite has a 10+GG glass pocket door leading to a large deck, 2 upstairs decks in all. 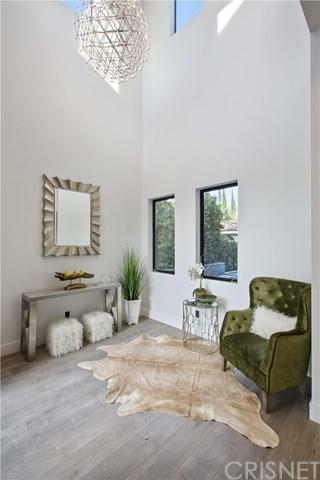 In the master bath dual sinks, makeup vanity, free standing kohler hydro therapy tub, custom oversized marble shower, walk in closet tailored for elegance. Other feature include dual CAT 6, security system, surround sound, LED lighting and more!